What to Do in Oman !!! !....Visit Oman .Drive through route with breath taking views in the mountains. Reach the foot of Jabal Qara: enjoy the view of a beautiful forested valley and one of the beautiful spring's .Drive up to Nabi Ayyub. A Mosque and Tomb with a breathtaking view are found there over the Salalah plain. Continue through the mountain after passing by few villages. In this area, you will see the Frankincense Trees growing. 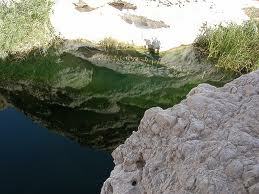 Later visit the magnificent deep blue-green pool of Wadi Ayun. Return to Salalah via Qairum Herti. Drive South to have a spectacular view of the thick woodlands and Salalah plain. Return to the hotel. in this tour you will have the chance to see the most beautiful breath taking views during your Oman Day Tours .